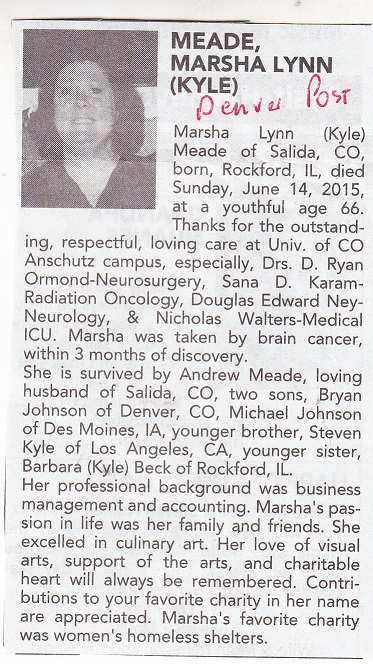 Source: Denver Post obituary, donated by Janet K. Pease, Colorado. Bishop Muldoon Catholic High School graduate, 1967; her first marriage was to Rodney Kenneth Johnson in 1970; her second husband, Richard Kenneth Ehlers, died in 1985. She is survived by Andrew Meade, loving husband, in 2015, and two sons: Bryan Johnson and Michael Johnson.